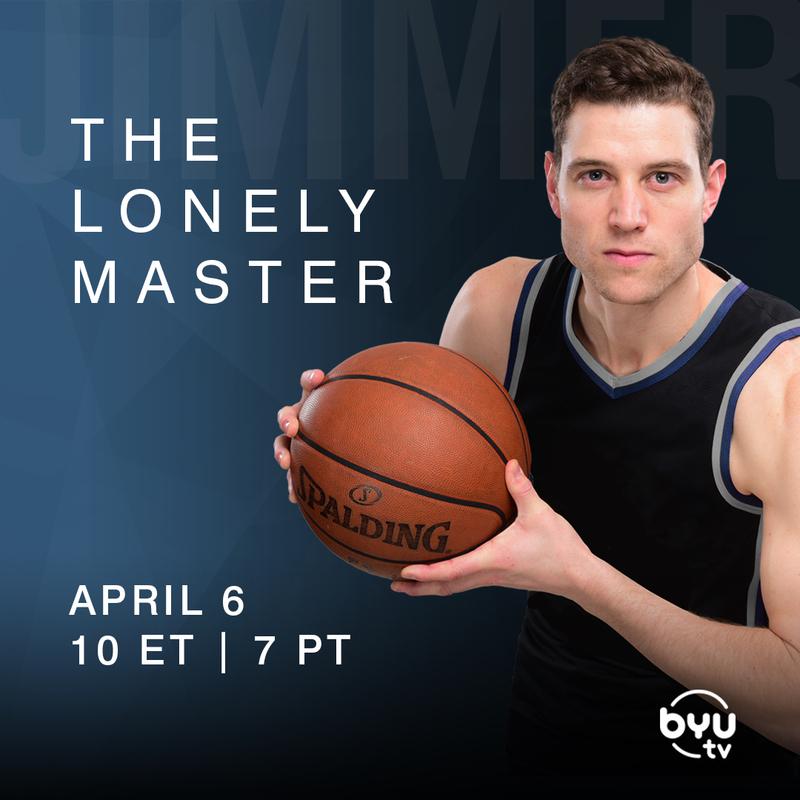 On April 6, 2019, at 10 ET | 7 PT, BYUtv will be premiering The Lonely Master, a documentary that follows the career and life of Jimmer Fredette and his family while playing in the CBA (China Basketball Association). 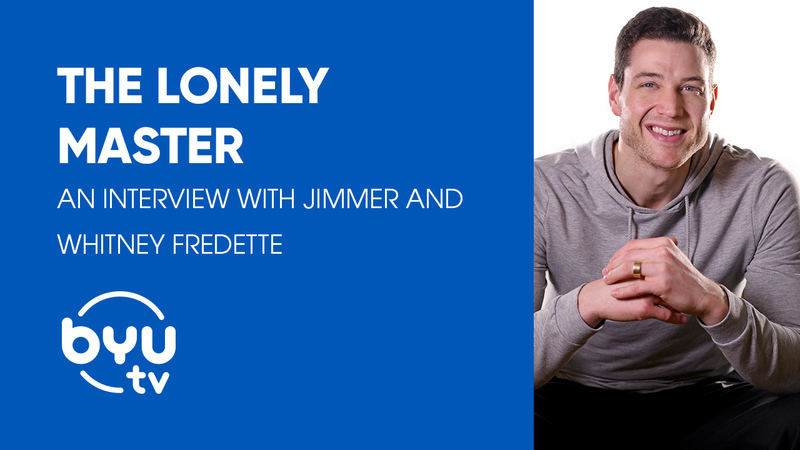 To give you an inside look at the making of this documentary and the life of the Fredettes, we interviewed both Jimmer and Whitney! BYUtv: What do you want people to take away from this documentary? Whitney: When we started filming, we really wanted to show what life was like for CBA basketball players. But as the filming went on, the focus shifted a little. It’s still very much about basketball in China, but there are some other areas of focus. I mostly want people to watch it and see who Jimmer is and understand his story a little better. Jimmer: I want people to come away from the documentary with a positive feeling. I want people to know that things don’t always happen exactly the way that you plan in life, but that doesn’t mean you should quit. Take advantage of the opportunity at hand and if you do things may turn out even better then you could have expected! Everyone experiences that sometime in their life and it’s important how you handle the situation. I hope to show that I did my best with the situation I was given. BYUtv: Were you both on board for doing this documentary, or did someone have to talk the other into it? Whitney: Yeah, I think we were both on board! I don’t love the idea of people following me around 24/7 (I don’t know how reality tv people handle it), but I knew it was mostly Jimmer they were going to follow around, and I would only be filmed in China. Jimmer: I’m usually a pretty private person and don’t really love cameras around that much, but in this case, I thought it could be a great way for people to see what China was like in real footage. I also was excited about having all the access to the footage when we are older. We can have so many great memories of Wesley in China that she will never remember unless we showed her. So ultimately, we both thought it would be a fun thing for our family to do and we hope people enjoy it! BYUtv: What are some differences between the NBA and the CBA? Jimmer: The CBA is a much more physical league than the NBA. They let the Chinese guys grab and hold and tug you all game and it’s not considered a foul there. The travel is much harder and the arenas are usually way worse. The team depends on you to do a lot on the court which is fun but also very taxing. And if you don’t produce every night at a high level they can get rid of you! But once you start playing basketball, it’s basketball! And it’s a lot of fun. BYUtv: What are some of the pros and cons of having a famous athlete as a husband? Whitney: Most of the cons come from the negativity that surrounds it. The negative things people say or do. People are brutal, and I can sometimes find myself in a black hole of reading comments and it will really upset me. The pros are the schedule. That probably sounds weird, but they have a crazy hectic schedule for 6 months of the year and then I have him home all the time for the other 6. I love that we have that time together! BYUtv: What are your favorite things about Shanghai? Whitney: Shanghai is the best city in China! This is so random but one of my favorite things is the food delivery! We live outside of Denver, so no one delivers. In Shanghai, everyone does and you can get any kind of food at any time of day and it’s THE BEST! I also love the shopping and the fact that Disneyland was only 30 minutes from our apartment. Jimmer: Shanghai has a lot of great things to offer. It has one of the coolest skylines in the world first off, has amazing restaurants of all kind, and is a very international city. I have learned how to get everywhere in the city by the metro which is top notch. There is a Disneyland there which we love as well, especially Wesley! I also love the people of Shanghai and how much they supported me and my family! In my opinion, it’s the best city in China and it’s not even close. BYUtv: What emotions do you get when you watch Jimmer play? Whitney: During the game, I’m pretty mellow. I don’t yell unless there was a good play or Jimmer does something exciting. I get really nervous while I’m watching though. Not that he’s going to do something wrong, but more like “what if he gets hurt?” Sometimes I can’t watch! BYUtv: Tell us about a funny/crazy fan encounter. 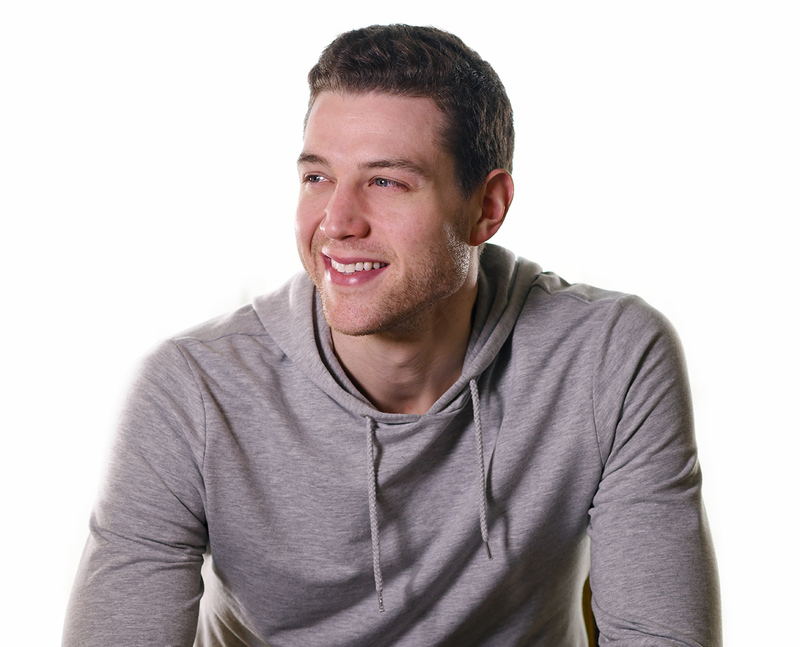 Jimmer: There was one time when a fan was outside our team bus trying to get on. He had a letter he wanted to give to me. So, my translator went out and got it from him. It was half in Chinese and English and didn’t make a ton of sense. But we did make out that he wanted me to date the best women’s volleyball player in China. He thought we would be a good match together. I guess but he wasn’t going to stop until he got me that letter! BYUtv: What do you guys like to do together in your free time? Whitney: When we’re together, we just like being together! We do everything! We play tennis, he forces me to sit on the golf cart while he golfs (haha), we take our dog swimming, we take our daughter to the park, or to the pool. We also love food, so cooking and trying out new recipes is always something we love to do together. Jimmer: We are pretty chill people most of the time. I just enjoy being with my family. We love to take our dog George on walks, go to places to eat or cook, and watch movies together. Wesley is very active so I just love to run around with her and play chase all day. We love sports for sure too. Tennis, golf, basketball, football, pretty much you name it and we will play it! BYUtv: Jimmer, was it different filming when it was just you in China versus when Whitney and Wesley were there? What was different? Jimmer: The difference was mostly they filmed what I do without them there. They wanted to show me going around the city and doing things I would do on a daily basis to pass the time. They wanted people to see what it was like for me to live in China without a family and the struggles of that. They also focused more on basketball when they weren’t in town. With them in town, they wanted to just see how we interacted with one another! They wanted to see us do fun things like Disneyland and the zoo and stuff like that which was fun. So definitely very different. BYUtv: What would you say to aspiring athletes? Jimmer: I would tell aspiring athletes to work hard always and continue to fight for your goals. Make sure you don’t listen to the outside noise and focus on yourself and what you need to do to get better and help your team. Also, I would tell them to control what they can control! They can control their attitude, their work ethic, and how they treat people. So, control those things and things will work out! BYUtv: What would you say are your personal keys to success? Jimmer: My personal keys to success are to always work hard and to be a good person. Ultimately that’s what it’s all about. I believe that if you treat people the right way, and work your hardest that you will succeed. Not only that, but people will want to be around you and be a part of what you are doing!